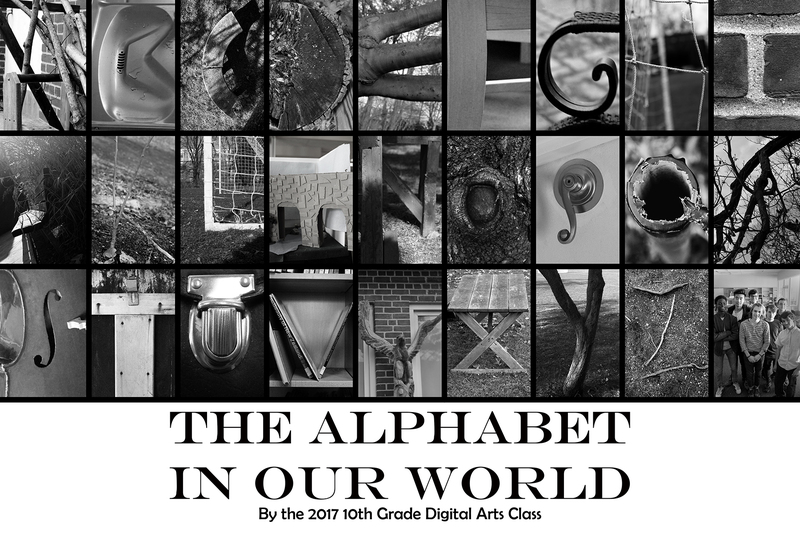 The 10th grade digital arts students have created a beautiful collaborative photography and design project. 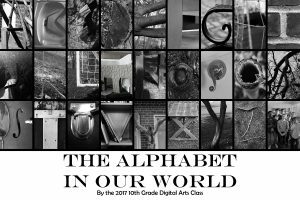 The students have photographed the forms of letters of the alphabet around school and designed a poster using their images. The poster will be printed and will hang in the lower school for all of the students to enjoy. This artwork was created by students Jason Derosiers, Anthony Deus, Franky Jia, John Jobin McAuliff, Noah Negri, Anthony Sokolov, and Nils Zimmermann.